Puget Sound Navy Yard, Bremerton, Washington. Yeoman (F) boat crew, wearing N (for Navy) sweaters, 1918. Chief Boatswain’s Mate Philip Andrew Carey, the crew coach, is seated in front. In the latest installment of CNO Adm. John Richardson’s initiative “Why We Do What We Do,” NHHC Historian Regina Akers underscores the need to break down barriers to bring in the best personnel possible for achieving objectives. Secretary of the Navy Josephus Daniels had been preparing for a conflict even before the U.S. entered World War I. While assessing manpower, Daniels discovered the Civil Service Department could not provide an adequate number of people to fill all the positions. He was delighted to learn that there were no legal barriers to recruiting women per the Naval Reserve Act of 1916. On March 19, 1917, Rear Adm. Leigh C. Palmer announced the Navy would be enlisting women primarily for clerical duties. The first female enlistee was Loretta Perfectus Walsh of Olyphant, PA. To learn more about the early contributions of women in the U.S. Navy, read the blog at The Sextant. Also check out the U.S. Navy History Lessons Learned page that features lessons learned from other events in U.S. Navy history. USS HORNET (CV-8) dead in the water with a destroyer alongside, 26 October 1942. In his latest H-Gram, NHHC Director Sam Cox pauses from tracking the anniversaries of notable World War I, World War II, and Vietnam War naval history events. Instead, he discusses the exciting discoveries of lost WWII-era aircraft carriers USS Wasp and USS Hornet, and other ships sunk in “Iron Bottom Sound” during the Guadalcanal campaign. Over the course of the last several years, NHHC and R/V Petrel have established a “trusted collaborative relationship.” For the first time, NHHC was invited to participate in the expedition of Wasp. Director Cox was on board Petrel for the discovery and admits that “seeing an aircraft carrier on the bottom of the ocean is quite a sobering experience.” Nearly 5,000 Sailors died in the battles where Wasp and Hornet were discovered, including Rear Adm. Daniel Callaghan, Rear Adm. Norman Scott, and all five Sullivan brothers. To learn more, read H-Gram 027 at NHHC’s Director’s Corner. On March 29, the nation will observe National Vietnam War Veterans Day as we continue to commemorate the 50th anniversary of the Vietnam War. Every facet of the Navy we know today supported the Vietnam War effort. Navy Sailors were on the sea, along the rivers and coastal waters, in the air, and on land. Modern carrier battle groups launched air strikes from Yankee and Dixie stations in the South China Sea, destroyers and cruisers provided gunfire support, and the Navy was crucial in maintaining the U.S. logistical chain across the Pacific. In addition to combat operations, Navy personnel were involved in multiple training, advisory, infrastructure, and civil affairs programs. Today, our bilateral relationship with Vietnam demonstrates our support for a strong, prosperous, and independent Vietnam. Through hard work and mutual respect, we are now close partners. NHHC has developed a commemoration toolkit for Vietnam War Veterans Day to help celebrate the heroes of the war. NHHC’s museums are scheduled to hold special events on March 29. Go to the events section of NHHC’s website for times and locations. On March 27, 1794, 225 years ago, President George Washington signed “An act to provide a Naval Armament,” known as the Naval Armament Act of 1794. The act called for the construction of six frigates—United States, Constellation, Constitution, Chesapeake, Congress, and President—commissioning of officers, and raising of crews. It specifies ship manning levels, pay, and rations as well. After the American Revolution, the Continental Navy was slowly disbursed with the last frigate, Alliance, sold in Philadelphia on June 3, 1785. For the time being, the American merchant fleet sailed unprotected, putting the United States in a difficult position. Privateers of the North African states of Morocco, Algiers, Tunis, and Tripoli would seize American vessels, cargos, and crews and then hold them for ransom. The disruption to trade and tribute payments to the Dey of Algiers was humiliating for the new United States, and the attacks were devastating to the economy. To learn more, read “Act to provide a naval armament”—225th Anniversary of the Creation of the United States Navy by Margherita Desy at The Sextant. For more on The Birth of the U.S. Navy, go to NHHC’s website. During the inter-war period, the U.S. Navy realized that aviation would likely play a key role in the next conflict. To neutralize the emerging threat, ships would need to be equipped with antiaircraft weapons. The Navy’s Bureau of Ordnance worked on the problem prior to World War II, but there wasn’t an effective, close-range weapon that was capable of taking down the fast-moving monoplanes of the day. The .50-caliber Browning machine gun lacked the power or the range, and the quad 1.1-inch gun proved to be equally disappointing due to frequent jamming. The solution came from Germany, which sold the rights to a 20 mm caliber cannon in the final days of World War I to a Swiss firm. The weapon was popular; both Allied and Axis utilized it. The U.S. Navy adopted the Oerlikon 20 mm in November 1940. It proved effective for short-range defense and was found to be easy to fire and maintain. To learn more, read the blog by Dan Garas at The Sextant. Secretary of the Navy Richard V. Spencer has named a future Arleigh Burke-class guided-missile destroyer, DDG-130, in honor of a Navy hospital corpsman who received the Medal of Honor for his actions during the Korean War. Master Chief Hospital Corpsman William Charette was presented the nation’s highest honor for his actions on March 17, 1953, when Chinese soldiers in North Korea attacked Marine hill outposts. While treating a wounded Marine, Charette placed himself on top of the wounded Marine to shield him from an explosion. The blast rendered Charette unconscious, but when he awoke he continued to treat wounded Marines. All five enlisted Sailors who received the Medal of Honor during the Korean War were hospital corpsman. Charette was the only living recipient. He passed away on March 18, 2012. To learn more, read the U.S. Navy release. Seventy-five years ago last week, USS Mason was commissioned at the Boston Navy Yard, where she was built. Although the ship itself was nothing special, the crew certainly was groundbreaking. Mason’s mission was to “show that a crew composed mostly of African-American Sailors could fulfill their duties as well as the crew of any other ship.” Although there was some skepticism, Chief of Naval Operations Ernest King directed in January 1944 that Mason be staffed with qualified African-American petty officers. To learn more, read the post at the Hampton Roads Naval Museum’s blog. In 2016, then 93-year-old World War II veteran Ernie Andrus became the oldest person ever to run across the United States. His journey began in San Diego, CA, and ended at Saint Simons Island, GA. A huge crowd was on hand to join him as the old Sailor stormed the beach at the completion of the three-year run. Although the feat was remarkable and most would rest on their laurels, Ernie said he felt bored and like yesterday’s news. So, he decided he’s doing it again, but in the opposite direction. He expects this run to take a bit longer and hopes to reach San Diego by his 100th birthday. “I’ve got all the runs planned clear up to 2025,” he said. Ernie runs to raise money for the LST 325 Ship Memorial. The LST is the same kind of ship he served on during the war. “A ship’s like a person, you know, we call it the gray lady,” he said. “It’s part of my soul.” To learn more, watch the story at CBS News. April is designated as the Month of the Military Child, highlighting the important role military children play in the armed forces mission and community. The Month of the Military Child is a time to recognize military families and their children for the sacrifices they make and the challenges that come with being a child of a servicemember. Although young, these brave sons and daughters stand in support of their military parents through moves and deployments. They make up a very special part of the nation’s population. To honor their unique contributions and sacrifices, April is designated the Month of the Military Child. On April 1, 1974, Naval Administrative Unit, Scotia, NY, known today as Naval Support Activity Saratoga Springs, was established. On April 1, 1974, 45 years ago, Naval Administrative Unit, Scotia, NY, known today as Naval Support Activity Saratoga Springs, was established. In 1999, NAU Scotia moved to Saratoga Springs, NY, located approximately 35 miles north of the state capital, Albany. On Oct. 1, 2010, the command name changed to Naval Support Activity when it became aligned under Commander, Navy Installations Command and Navy Region Mid-Atlantic. In commemoration of Medal of Honor Day on the 156th anniversary of the establishment of the Medal of Honor, this week’s Webpage of the Week is NHHC’s Medal of Honor page. The page lists Medal of Honor recipients by time period and conflict from the Civil War to the Global War on Terrorism. Recently added to the page is an essay by COD’s Adam Bisno on the Navy Medal of Honor in the additional resources section of the page. Check out this page today and learn about the Navy’s highest honor. On March 26, 1942, 77 years ago, during World War II, Adm. Ernest J. 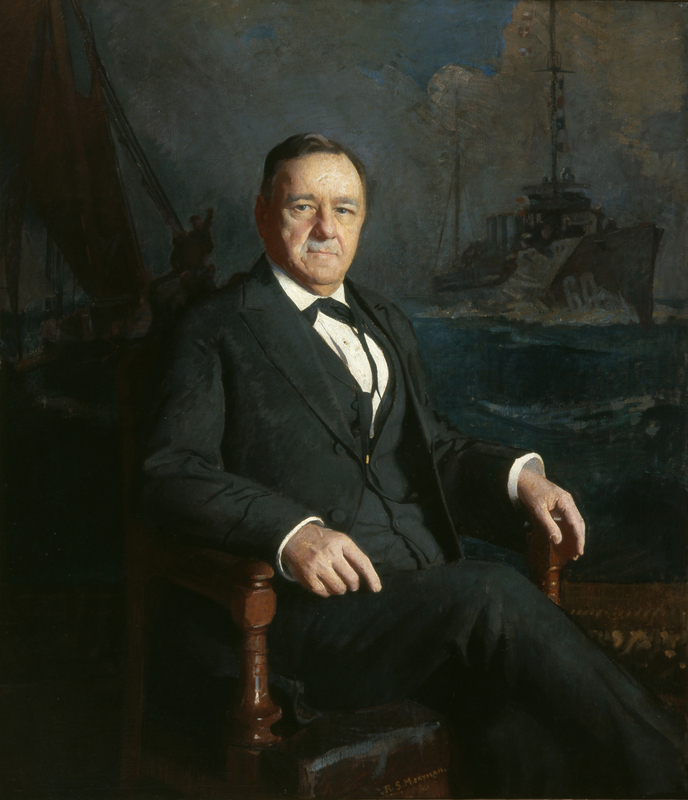 King became Chief of Naval Operations and Commander, U.S. Fleet, holding both positions through the rest of the war. To learn about other significant events that have happened on this day, visit today in naval history March 26 at NHHC’s website. Downloadable version of the above information is available here.